Picking up a conversation with a new guy can get tricky. It's mostly because you just met him so you probably have no idea of how he is, who he is or where he comes from. So, what do you do now? Being spontaneous and cute is the way to go, without coming off as creepy. Be fun but also sincere in getting to know him. 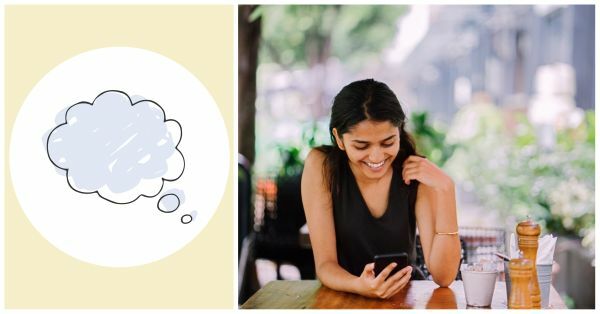 After brainstorming for a couple of hours we figured out 16 cute texts you could use to pick up a conversation with a guy you just met. You can thank us later! 1. You just popped into my head and I thought I'd say hi! 2. I wanted to send you something nice that would make you smile but the postman told me to get out of the mailbox! Hello...what are you up to? 3. I woke up today and thought something was missing. So I got up from my bed, grabbed my cell phone and sent you a greeting. Good morning! 4. Just saw Friends (or add a TV show or a movie you watched) and Chandler (add character's name) totally reminded me of you! 5. So, what are you doing this very second – apart from thinking about me? 7. I was trying to daydream, but my mind kept wandering. Hi! 10. I like where this is going. Do you think we should keep going? 11. Oh man! Just remembered what you told me the other day and I couldn't agree more! 12. Loved the song you recommended, any other good songs? 13. This cool cafe just opened in town. Wanna go check it out? 14. Germany is out of the World Cup! Is it just me, or is football just so unpredictable? 15. LOL. This is something I totally see you doing! 16. What dish did you order last time in that restaurant? I'm going there again and wanna try that out!